Technical training usually deals with nitty-gritties of how a certain product or application works. Be it learning to use complicated software applications or understanding the working of advanced machinery, technical training typically provides comprehensive subject knowledge to employees. While this is great from the learner’s point of view, from a training point of view, this can create certain challenges for e-learning developers. When it comes to technical training, the usual training methods for imparting training might not be able to engage learners effectively. As the subject matter can be quite complex, simple text-heavy or even image-based learning strategies might fail to capture the interest of your learners. That’s why using videos is highly recommended for your technical trainings. This audio-visual learning medium breaks down even the most complex subjects into easily digestible information nuggets. Using the latest video development technologies and authoring tools, you can even add a healthy level of interactivity to your technical videos. Interactive videos can consist of both linear and branched types. Let’s look at a few tips and suggestions to create impactful interactive videos to facilitate technical learning. Interactive videos for technical training need to support the learning objectives of your organization, otherwise, they become merely a form of entertainment. Connect with Subject Matter Experts and learning managers to analyze the actual purpose behind the technical training. Then you can figure out where interactivities will fit into the videos. Before adding interactivities, you need to analyze the target audience of the course by asking questions such as “Does the audience consist of mostly millennial employees, or experienced veterans?”, “Do they work in an office, a production unit, or out in the field?”. Only after considering all these parameters can one decide the design of the video and the type of interactivities to be used. Embedding hyperlinks in onscreen text can be a great interactive asset for your technical training videos. This can be links that redirect corporate learners to third-party sites, online articles, or supplemental online training resources – all of which can greatly boost learner involvement. You can even create hot spots that lead to surveys, questionnaires, or additional trivia based on your technical learning topic. At strategic intervals in the videos, you can add call to action buttons, which can redirect learners to an online training module or activity. You don’t have to use technical training videos that follow a linear path. With today’s advanced authoring features, you can turn your training video into a branching scenario by creating paths. 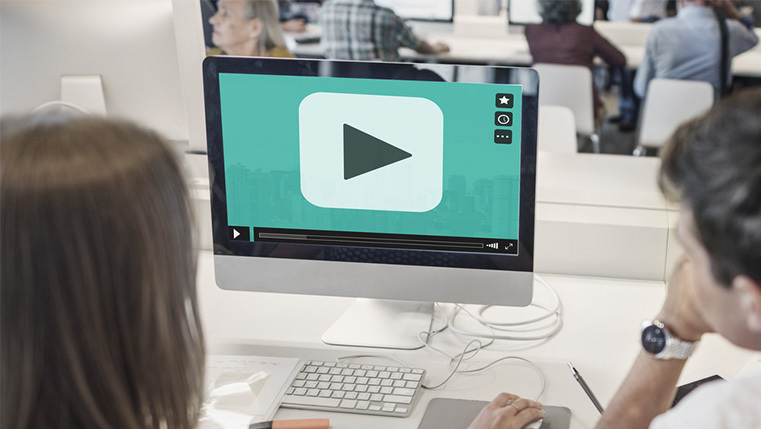 You can set up specific points at which the video pauses and demands a response from the learners. For example, you can give your workshop employees the option to pick the correct spare part in case of a breakdown, and based on their response, proceed with the rest of the video accordingly. Each choice in such a case leads to a different online training video nugget. You can even take it a step further by creating an entire network of online training videos with multiple outcomes. For your technical videos to be highly effective, you need to ensure they are concise. A good video must convey even the most complex of topics effectively in a few minutes. This ensures that learner attention isn’t diverted anywhere, and learning can happen almost at any point. When using interactivities, you need to ensure that they are spaced evenly throughout the video. Interactive video elements, if placed too close to each other, can disrupt any real technical knowledge transfer. Since you would have spent a lot of time in creating the interactive video, you need to ensure it achieves the desired results. Using advanced analytics, corporate learner feedback, and customized reports, you can get valuable insights into the various interactivities. Are your corporate learners clicking on the embedded links? Do they feel any significant difference in their technical knowledge after watching the videos? Are the interactivities becoming too much to handle? Such data allows you to create more effective and targeted online training videos in the future. The impact of videos for conveying difficult technical topics is far reaching. By adding interactivities, you only increase the effectiveness of video-based learning modules.